The Cincinnati Comic Expo has been entertaining thousands of fans since 2010 with an annual show celebrating all periods and genres of pop culture with an emphasis on comics. The 2019 event will be held from Friday, September 20, through Sunday, September 22, at the Duke Energy Convention Center. 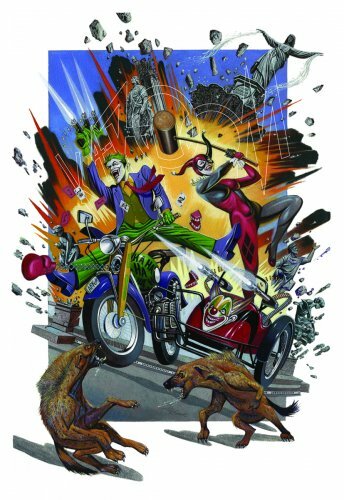 Our show plays host to the latest and greatest in comics, graphic novels, artwork, games, toys, movies and television. Our panels, autograph sessions, and photo ops give you a chance to interact with your favorite creators and celebrities. 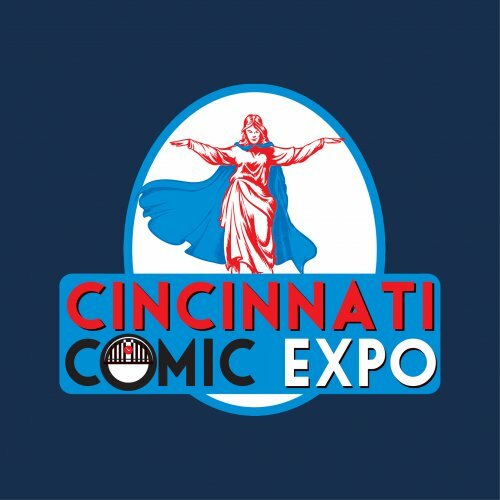 Admission to the Cincinnati Comic Expo also includes the costume contest and many other exciting events! 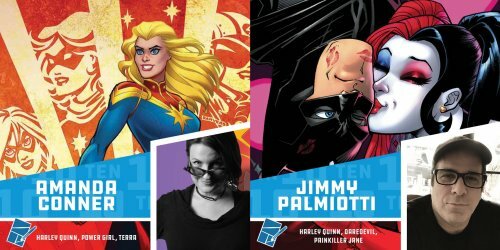 Get your tickets to the 2019 Cincinnati Comic Expo! Adult admission is required for everyone ages 13 and up. Youth admission is required for everyone ages 8 to 12. All Youth admission is the same price for a single day or all 3 days! Children 7 and under will be admitted for FREE all weekend with an adult ticket holder. *Tickets are non-refundable. Wristbands and badges are non-transferable after collection at the Expo event. **Guest lists are subject to change, although all listed guests have been booked to attend. In the event of a cancellation, notification will occur via Facebook, Twitter and Cincinnati Comic Expo's website. Note the package details as details have changed over previous offerings. Admission to the Friday Night Fan Appreciation Party and the 10th Annual Cincinnati Comic Expo Celebration Party on Saturday are now included with any admission to the 2019 Cincinnati Comic Expo! Your ticker order can be transferred to someone else before picking up the badge or wristband at Admissions at the Duke Energy Convention Center. You may not transfer your badge or wristband to someone after you have already used it at the convention. The wristband must be attached and cannot be removed during the period of its use (Single day or Weekend). The wristbands are durable. Admissions purchased online in advance or at the door to this event are NON-REFUNDABLE unless the Cincinnati Comic Expo is cancelled. Admissions are NOT refundable due to cancellation of the appearance of any particular guest or combination of guests. Any guest may cancel at any time due to a personal or professional conflict. In the event of a guest cancellation, notification will occur via Facebook, Twitter, and the Cincinnati Comic Expo website. 1) Admission credentials cannot be replaced if stolen, lost or destroyed, and a credential is valid only for the day or days for which it is issued. If your badge or wristband is damaged, then bring the item to the Admissions space in Hall C to have replaced. 2) Admission is not transferable and are not redeemable for cash. If admission includes a wristband, the wristband may not be removed during its period of use. 3) Reproduction of event badges and wristbands is not permitted. 4) Once an admission has been redeemed for a badge or wristband, that item may not be sold. 5) Unauthorized or unlawful resale or attempted resale of admission credentials is prohibited by law and grounds for seizure without compensation. 6) Management reserves the right to revoke or refuse admission, or to eject any person, who fails to comply with the rules of the show/venue, and all applicable laws, without refund. 7) NO REFUNDS OR EXCHANGES of admission purchases, except exchanges as provided through our system of upgrading an admission. 8) Admission holder assumes all risk and danger of personal injury, damage to property, including death, and all other hazards arising from, or related in any way to, the event for which the admission is issued, caused by negligence, gross negligence or otherwise, and the holder releases Cincinnati Comic Expo, its owner, employees agents and assigns, from any and all liabilities/claims resulting from such risks, danger, damage, injury or death. 9) Admission holder consents to use of his/her image or likeness by media now known or hereafter devised, for advertising, sale and/or other promotional purposes. 10) Admission holder agrees not to take photographs or video where posted as prohibited. 11) Cincinnati Comic Expo is a zero tolerance zone for harassment.